The All–India Muslim League (United Provinces (today's Uttar Pradesh). Following in the 1930s, the idea of separate nation-state and influential philosopher Sir Iqbal's vision of uniting the four provinces in North-West British India further support the rational of Two-nation theory. Constitutional struggle of Jinnah and political struggle of founding fathers, the Muslim League played a decisive role in the World War II in 1940s and as the driving force behind the division of India along religious lines and the creation of Pakistan as a Muslim state in 1947. The events leading the World War II, the Congress effective protest against the United Kingdom unilaterally involving India in the war without consulting with the Indian people; the Muslim League went on to support the British war efforts, and later agitated against the Congress with the cry of. "Islam in Danger"
After the partition and subsequent establishment of Pakistan, the Muslim League continued as a minor party in India where it was often part of the government. In Bangladesh, the Muslim League was revived in 1976 but it was reduced, rendering it insignificant in the political arena. In Pakistan, the Muslim League became the original successor of All India Muslim League, led by the founder of Pakistan Muhammad Ali Jinnah and after Jinnah's death by Prime Minister Liaquat Ali Khan but suffered with ill-fate following the military intervention in 1958. One of its faction remained to supportive of President Ayub Khan until 1962 when the all factions decided to reform into the Pakistan Muslim League led by Nurul Amin supporting Fatima Jinnah in the presidential elections in 1965. Furthermore, it was the only party to have receives votes from both East and West Pakistan during the elections held in 1970. 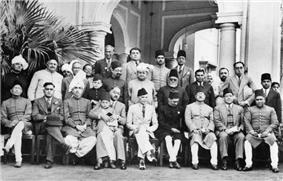 During the successive periods of Pakistan, the Muslim League continued to be a ruling party in the different periods of Pakistan. Since 1985, the Pakistan Muslim League split into various factions; all factions which had little ideological connection with the original Muslim League. However, the PML(N) remains to be influential faction than others, and has been in power during the elections held in 1990 and in the 1997. As of current of 2013 elections, the PML(N) remains to be a ruling party of Pakistan. Sir Syed Ahmad Khan (1817–98) helped form the All-India Muslim League (AIML). His educational proposals and political activism inspired Muslim elites to support the AIML. Sir Syed Ahmad Khan originally founded the All India Muhammadan Educational Conference in 1886 to uplift Western education, especially science and literature, among India's Muslims. 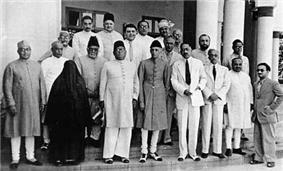 The conference, in addition to generating funds for Ahmad Khan's Muhammadan Anglo-Oriental College, motivated Muslim elites to propose expansion of educational uplift elsewhere, known as the Aligarh Movement. In turn this new awareness of Muslim needs helped stimulate a political consciousness among Muslim elites that went on to form the AIML. The formation of a Muslim political party on national level was seen as essential by 1901. The first stage of its formation was the meeting held at Lucknow in September 1906, with participation of representatives from all over India. The decision for re-consideration to form the all Indian Muslim political party was taken and further proceedings were adjourned until the next meeting of All India Muhammadan Educational Conference. The Simla Deputation reconsidered the issue in October 1906 and decided to frame the objectives of the party on the occasion of the annual meeting of Educational Conference; that was later, scheduled to be held at Dhaka. Meanwhile Nawab Salimullah Khan published a detailed scheme through which he suggested the party to be named All India Muslim Confederacy. Pursuant upon the decisions taken earlier in Lukhnow meeting and later in Simla; the annual meeting of All India Muhammadan Educational Conference was held at Dhaka that continued from 27 December, until 30 December 1906. that was headed by both Nawab Waqar-ul-Mulk and Nawab Muhasan-ul-Mulk (the Secretary of the Muhammaden Educational Conference); in which he explained its objectives and stressed the unity of the Muslims under the banner of an association. It was formally proposed by Nawab Salimullah Khan and supported by Hakim Ajmal Khan, Maulana Muhammed Ali Jauhar, Zafar Ali Khan, Syed Nabiullah Bar at Law Lucknow and Syed Zahur Ahmad an eminent lawyer and several others. The Founding meeting was hosted by Nawab Sir Khwaja Salimullah and attended by three thousand delegates, while Ameer Ali, Sir Mian Muhammad Shafi were also the founding fathers who attended this meeting. The name "All India Muslim League" was proposed by Sir Agha Khan III who was appointed its first president. The League's constitution was framed in 1907 in Karachi. Maulana Mohammad Ali. Its goals at this stage did not include establishing an independent Muslim state, but rather concentrated on protecting Muslim liberties and rights, promoting understanding between the Muslim community and other Indians, educating the Muslim and Indian community at large on the actions of the government, and discouraging violence. Aga Khan III's (1877–1957) played a leading role in founding AIML; his goal was the advancement of Muslim agendas and protection of Muslim rights in India. He shared Ahmad Khan's belief that Muslims should first build up their social capital through advanced education before engaging in politics. Agha Khan boldly told the British Raj that Muslims must be considered a separate nation within India. Even after he resigned as president of the AIML in 1912, he still exerted major influence on its policies and agendas. in 1913 Mohammed Ali Jinnah joined the Muslim league. Intellectual support and a cadre of young activists emerged from Aligarh Muslim University. Hasan reports that in the early 20th century, this Muslim institution, designed to prepare students for service to the British Raj, exploded into political activity. Until 1939, the faculty and students supported an all-India nationalist movement. After 1939, however, sentiment shifted dramatically toward a Muslim separatist movement, as students and faculty mobilised behind Jinnah and the Muslim League. Politically there was a degree of unity between Muslim and Hindu leaders after the World War I, as typified by the Khilafat Movement. The relationships cooled sharply after 1922, as communalism grew rapidly forcing the two groups of leaders apart. Major riots broke out in numerous cities, including 91 in U.P. alone. At the leadership level, the proportion of Muslims among delegates to Congress fell sharply, from 11% in 1921 to under 4% in 1923. Muhammad Ali Jinnah became disillusioned with politics after the failure of his attempt to form a Hindu-Muslim alliance, and he spent most of the 1920s in Britain. The leadership of the League was taken over by, Sir Muhammad Iqbal, who in 1930 first put forward the demand for a separate Muslim state in India. The "Two-Nation Theory", the belief that Hindus and Muslims were two different nations who could not live in one country, gained popularity among Muslims. The two-state solution was rejected by the Congress leaders, who favoured a united India based on composite national identity. Congress at all times rejected "communalism"—that is, basing politics on religious identity. Iqbal's policy of uniting the North-West Frontier Province, Baluchistan, Punjab, and Sindh into a new Muslim majority state united the many factions of the League. The League rejected the Committee report (the Nehru Report), arguing that it gave too little representation (only one quarter) to Muslims, established Devanagari as the official language of the colony, and demanded that India turn into a de facto unitary state, with residuary powers resting at the center – the League had demanded at least one-third representation in the legislature and sizeable autonomy for the Muslim provinces. Jinnah reported a "parting of the ways" after his requests for minor amendments to the proposal were denied outright, and relations between the Congress and the League began to sour. The Muslim League successfully mobilised the religious community in the United Provinces in the late 1930s. Jinnah worked closely with local politicians. However, there was a lack of uniform political voice by the League during the 1938–1939 Madhe Sahaba riots of Lucknow. Sir Muhammad Iqbal did not use the word "Pakistan" in his address. According to some scholars, Iqbal had not presented the idea of a separate Muslim State; rather he wanted a large Muslim province by amalgamating Punjab, Sindh, NWFP and Baluchistan into a big North-Western province within India. They argued that "Iqbal never pleaded for any kind of partition of the country. Rather he was an ardent proponent of a 'true' federal setup for India..., and wanted a consolidated Muslim majority within the Indian Federation". Another Indian historian Tara Chand also held that Iqbal was not thinking in terms of partition of India but in terms of a federation of autonomous states within India. Dr. Safdar Mehmood also asserted in a series of articles that in the Allahabad address Iqbal proposed a Muslim majority province within an Indian federation and not an independent state outside an Indian Federation. On 28 January 1933, Choudhary Rahmat Ali, founder of Pakistan National Movement voiced his ideas in the pamphlet entitled "Now or Never; Are We to Live or Perish Forever?" The word 'P In a subsequent book Rehmat Ali discussed the etymology in further detail. "Pakistan' is both a Persian and an Urdu word. It is composed of letters taken from the names of all our South Asia homelands; that is, Punjab, Afghania, Kashmir, Sindh and Balochistan. It means the land of the Pure". At a League conference in Lahore in 1940, Jinnah said: "Hindus and the Muslims belong to two different religions, philosophies, social customs and literature.... It is quite clear that Hindus and Muslims derive their inspiration from different sources of history. They have different epics, different heroes and different episodes.... To yoke together two such nations under a single state, one as a numerical minority and the other as a majority, must lead to growing discontent and final destruction of any fabric that may be so built up for the government of such a state. ",'ALL INDIA JAMHUR MUSLIM LEAGUE' was formed to counter the move of Md. Ali Jinnah on two Nation theory and creation of separate Pakistan. Raja of Mahmoodabad was elected its President and Dr.Maghfoor Ahmad Ajazi general secretary. Perhaps it was the first split of Muslim League on ideological ground. This party however merged with Congress latter on to strengthen its views on partition. At Lahore the League formally recommitted itself to creating an independent Muslim state, including Sindh, Punjab, Baluchistan, the North West Frontier Province and Bengal, that would be "wholly autonomous and sovereign". The resolution guaranteed protection for non-Muslim religions. The Lahore Resolution, moved by the sitting Chief Minister of Bengal A. K. Fazlul Huq, was adopted on 23 March 1940, and its principles formed the foundation for Pakistan's first constitution. Talks between Jinnah and Gandhi in 1944 in Bombay failed to achieve agreement. This was the last attempt to reach a single-state solution. In the 1940s, Jinnah emerged as a leader of the Indian Muslims and was popularly known as Quaid-e-Azam (Great Leader). 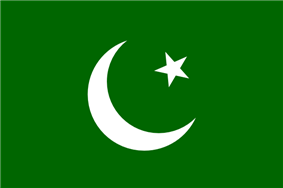 In the Constituent Assembly of India elections of 1946, the League won 425 out of 496 seats reserved for Muslims (and about 89.2% of Muslim votes) on a policy of creating an independent state of Pakistan, and with an implied threat of secession if this was not granted. Congress, led by Gandhi and Nehru remained adamantly opposed to dividing India. However, 1947 saw violent and bloody battles caused due to the communal clashes between the two communities in India. Millions of people migrated from India to Pakistan and vice-versa. The situation continued to be tense even after the governments of the two nations were formed. The partition seems to have been inevitable after all, one of the examples being Lord Mountbatten's statement on Jinnah: "There was no argument that could move him from his consuming determination to realize the impossible dream of Pakistan." After the partition of British Indian Empire, the Muslim League played a major role in giving the birth of modern conservatism and the introduction of the democratic process in the country. The Pakistan Muslim League (N) continues to be serves as its legal successor and legal personality of the All-India Muslim League, as many veteran Pakistan movement activists joined the party during its successive periods. From 1947–51, Prime Minister Liaquat Ali Khan spearheaded the Muslim League's government until 1955 when Awami League came to power with Huseyn Suhrawardy becoming the Prime Minister. After Jinnah and Ali Khan, Nazimuddin struggled to lead the party, primarily due to lack of its social programmes. During this time, the Republican Party, led by Iskander Mirza, had taken over the credibility and prestige of Muslim League in all over the country. In 1958, the Muslim League nearly lost its influence when General Ayub Khan, army chief at that time, imposed martial law to with the support of Republican President Iskander Mirza against Prime Minister Feroze Khan Noon, a leader of Muslim League. The Federative constitution allowed the ailing Muslim League to be reformed itself as the Pakistan Muslim League (PML) and endorsed for Fatima Jinnah for the presidential bid in 1965. However, one of its convention actively supported President Ayub Khan. Other factions were also involved in supporting the presidential regimes of Zia-ul-Haq in the 1980s, and the recent regime of Pervez Musharraf in the 2000s. Every time, the establishment has put the political leaders were put together, who splintered apart when the general's blessings faded away. Hence, Pakistan Muslim League refers to several political parties in Pakistan. Following the death of Nurul Amin, the PML went into political abyss but made its notable comeback in a direct response to nationalisation and the outgrowth of leftism in the country. In the 1970s, the PML led by Pir Pagara was benefited with the financial support of industrialists, including Navaz Sharif and Shujat Hussain, and intelligentsia that included lawyers, Fida Mohammad and Javed Hashmi. The Muslim League campaigned on its conservative agenda, under the grand alliance, against the Pakistan Peoples Party. Efforts of Pir Pagara assimilated of majority of the factions of the Pakistan Muslim League, in a bid to mount a strong opposition to the leftist Pakistan Peoples Party (PPP) in the 1970s. It may be noted that all factions will continue to hold their individual identities, as the PML was treated as a platform for parties to come together. In 1990, the Muslim League led by Nawaz Sharif came to power with a strong mandate, for the first time under a democratic transition. In addition, the Muslim League is the only party to have received 2/3 majority in 1997. As of 2013, it secured majority seats in the Parliament and formed Government in June 2013. With the partition of British Indian Empire, the Muslim League lost all influence in the United Provinces and Muslim majority Indian states. In 1948, the Indian Muslim League was formed as breakaway faction of the Muslim League by those activists who could not migrate to Pakistan. During its successive periods, the Indian Muslim League remained a part of the Kerala government; nonetheless, the Indian Muslim League disintegrated after the general elections of 1980. Majority of its leaders later joined the Congress and the BJP. The Muslim League formed its government in East Bengal immediately after partition of Bengal, with Nurul Amin becoming the first Chief Minister. Problems in East Pakistan for Muslim League began rise following the issue of Constitution. Furthermore, the language movement proved to be a last event that led the Muslim League to lost its mandate in the East Bengal. Muslim League's national conservatism program also faced several set back and resistance from the Communist Party of Pakistan. In an interview given to print media, Nurul Amin stated that the communists had played an integral and major role in staging the massive protests, mass demonstration, and strikes for the Bengali Language Movement. All over the country, the political parties had favoured the general elections in Pakistan with the exception of Muslim League. In 1954, the legislative elections were to be held for the Parliament. Unlike in West, not all of the Hindu population migrated to India, instead a large number of Hindu population was in fact presented in the state. The communist influence deepened and was finally realised in the elections. The United Front, Communist Party and the Awami League returned to power, inflicting sever defeat to Muslim League. Out of 309, the Muslim League only won 10 seats, whereas the communist party had 4 seats of the ten contested. The communists working with other parties had secured 22 additional seats, totalling 26 seats. The right-wing Jamaat-e-Islami had completely failed in the elections. In 1955, the United Front named Abu Hussain Sarkar as the Chief minister of the State who ruled the state in two non-consecutive terms until 1958 when the martial law was imposed. The Muslim League remained to be a minor party in East Pakistan but participated with full rigour during the general elections in 1970. It had won 10 seats from East Pakistan and 7 seats from other parts of Pakistan. After the independence of Bangladesh, the Muslim League was revived in 1976 but it was reduced, rendering it insignificant in the political arena. During the 1940s, the Muslim League had a United Kingdom section active in the British politics. After the establishment of Pakistan, the Pakistani community's leaders took over the UK branch to continue to serve its purpose in the United Kingdom. As of current, the Muslim League's UK branch is taken over by the PML(N), with Zubair Gull its president, and Nawaz Sharif serving its patron-in-chief. Muslim League, the original successor of All-India Muslim League, which was disbanded on first marshal law. Convention Muslim League, a political platform created by General Ayub Khan in 1962 when he became the president. Council Muslim League, a party created by political leaders who opposed General Ayub Khan. Muslim League, a party created by Khan Abdul Qayyum Khan when he split with the Council Muslim League to run for the 1970 general elections. ^ eet. al. "Establishment of All India Muslim League". 1 Jun 2003. Establishment of All India Muslim League. Retrieved 14 February 2014. ^ Burki, Shahid Javed (1999). Pakistan : fifty years of nationhood (3rd ed ed.). Boulder, CO: Westview Press. ISBN 081333621X. ^ John Keay (2001). India: A History. Grove Press. p. 468. ^ et al. "Muslim Leage and the impact of World War II". Muslim League and the impact of World War II. Retrieved 14 February 2014. ^ Jalal, Ayesha (1994) The Sole Spokesman: Jinnah, the Muslim League and the Demand for Pakistan. Cambridge University Press. ^ our correspondent (28 January 2013). "PML-N's popularity up by four percent: survey". The News International. Retrieved 28 January 2013. ^ From the Newspaper, | Anwar Iqbal (30 September 2012). "PTI losing ground amid PML-N surge: IRI survey". Dawn News. Retrieved 28 January 2013. ^ GEMC ([Upddated]). "Election Results 2013". Geo Election Monitoring Cell. Retrieved 28 May 2013. ^ Abdul Rashid Kahn, "All India Muhammadan Educational Conference and the Foundation of the All India Muslim League," Journal of the Pakistan Historical Society (2007) Vol. 55 Issue 1/2, pp 65–83. ^ Amin Valliani, "Aga Khan's Role in the Founding and Consolidation of the All India Muslim League," Journal of the Pakistan Historical Society (2007) 55# 1/2, pp 85–95. ^ David E. Ludden (1996). Contesting the nation: religion, community, and the politics of democracy in India. U. of Pennsylvania Press. p. 93. ^ Peter Lyon (2008). Conflict between India and Pakistan: an encyclopedia. ABC-CLIO. ^ P. M. Holt; Peter Malcolm Holt; Ann K. S. Lambton (1977). The Cambridge History of Islam. Cambridge University Press. p. 103ff. ^ Venkat Dhulipala, "Rallying the Qaum: The Muslim League in the United Provinces, 1937–1939". 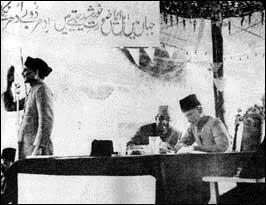 In 1936 Jalal-ud-din Jalal Baba laid foundation of Muslim league in Hazara Division. Modern Asian Studies (2010) 44#3 pp 603–640. ^ K.K. Aziz, Making of Pakistan (London: 1970), p.81. ^ Verinder Grover (ed. ), Muhammad Iqbal: Poet Thinker of Modern Muslim India Vol. 25 (New Delhi: Deep & Deep Publications, 1995), pp.666–67. ^ Tara Chand, History of Freedom Movement in India Vol. III (New Delhi: 1972), p.253. ^ lang, 23, 24 & 25March 2003; Also see, Safdar Mahmood, Iqbal, Jinnah aur Pakistan (Lahore: Khazina Ilm-wa-Adab, 2004), pp.52–69. ^ J.L. Nehru, Discovery ofIndia (New York: 1946), p.353. ^ Akbar S. Ahmed (1997). Jinnah, Pakistan and Islamic Identity: The Search for Saladin. Psychology Press. p. 142. ^ M S, Amogh (20 May 2011). "A history project on the impact of the AIMD on the future courses of India and Pakistan". Online Daily. ^ et al. "Pakistan Muslim League (N)". Govt. Pakistan. Election Commission of Pakistan (Party Profiles). Retrieved 16 February 2014. ^ a b c Masood, Alauddin (25 January 2008). "PML Perpetually Multiplying Leagues". The Weekly. ^ a b c d e f Ali, Tariq (2002). The Clash of Fundamentalism. United Kingdom: New Left Book plc. p. 395. ^ a b PMLN Muslim League in UK. "Muslim League in UK". Retrieved 15 February 2014. Ahmed, Akbar S. (1997). Jinnah, Pakistan, and Islamic Identity: The Search for Saladin. London: Routledge. Cohen, Stephen Philip (2004). The Idea of Pakistan. Washington, D.C.: Brookings Institution Press. Malik, Iftikar H. (2008). The History of Pakistan. The Greenwood Histories of the Modern Nations. Westport, Conn.: Greenwood Press.